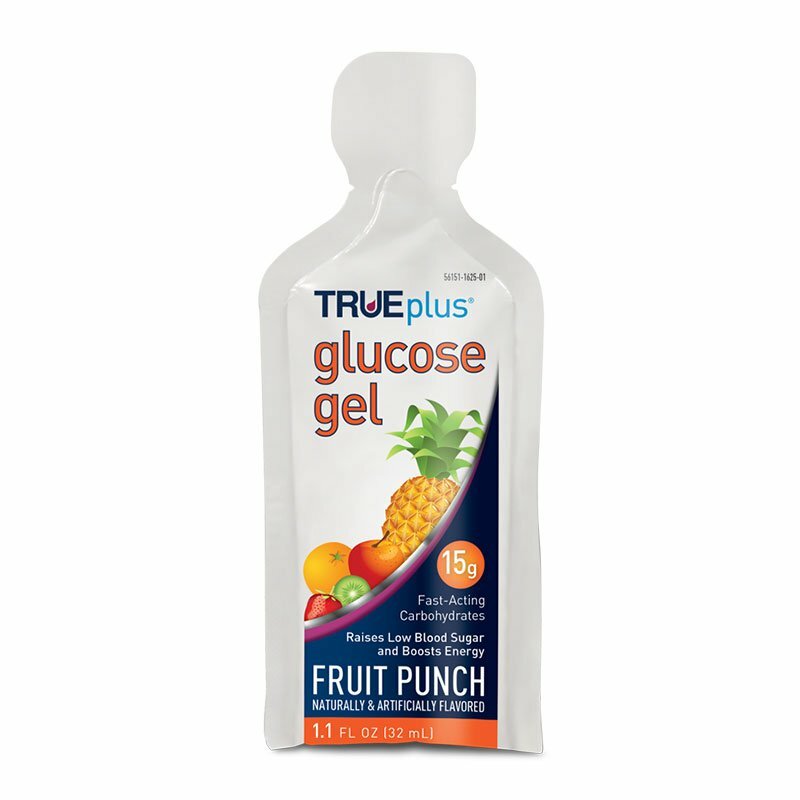 Buy TRUEplus Glucose Gel 15 Gram Fruit Punch Case of 6 Online! Pack of 6 Each TRUEplus Glucose Gel tube contains 15 grams of glucose; this lets you take exactly what is needed to help raise your blood glucose levels. TRUEplus Glucose Gel is available in 3 popular flavors: Cherry, Lemon-Lime, and Fruit Punch. Each TRUEplus™ Glucose Gel tube contains 15 grams of glucose; this lets you take exactly what is needed to help raise your blood glucose levels. TRUEplus™ Glucose Gel is available in 3 popular flavors: Cherry, Lemon-Lime, and Fruit Punch. Get are great under normal situation. Shots much better when extremely low. Easier to swallow vs gels when someone else helping you. Tastes good. I have to use scissors to open the pouch, and I don't see how it is reclosable as stated in the description. I use the entire contents with 15 grams of glucose anyway.